The Tesla Motors Inc. Model X sport utility vehicle (SUV) is driven during an event in Fremont, California, U.S., on Tuesday, Sept. 29, 2015. Tesla’s new SUV, the Model X, comes with a strange new feature: A “bioweapon defense mode” designed to protect the driver in catastrophic conditions. “This is a real button,” said Musk Tuesday while unveiling the new vehicle, according to The Verge. 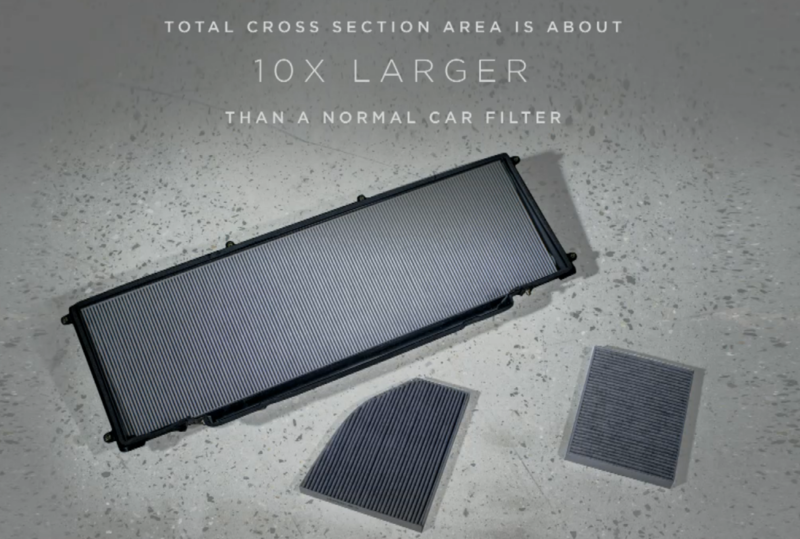 The car’s air filter “gives you hospital level air quality,” Musk said. Musk said that the button can be used “if there’s ever an apocalyptic scenario of some kind.” By pressing the button, the model’s air filter kicks into its maximum level of filtration. “We’re trying to be a leader in apocalyptic defense scenarios,” Musk said. Still, driving into a biohazard zone is probably not recommended.